As you may have noticed, it’s been fairly quiet around here lately. 2012 was a bit of a tough year and so my blogging and internet life suffered as a result. Thank you to everyone who stuck around in spite of my frequent absences; you are a wonderfully patient bunch! You are one of the reasons I continually vow to do better. In the spirit of New Year’s, I’ve made a few reading goals for 2013. I decided the other day that this will be the year I finally read Pilgrim at Tinker Creek by Annie Dillard. I started this book many years ago but got sidetracked by school and never finished it. Since I live just a few miles from the actual Tinker Creek featured in the book I’m going to read it (appropriately) while sitting by the creek. (I’m a cold-weather wuss, though, so I’m going to wait until it warms up a bit first.) My tentative plan is to read it in May. If anyone would like to join me (literally or figuratively), drop me a line! I’d love the company. My other reading goal is just a continuation of a reading goal I made a few years ago: read deliberately. 2012 was a great reading year. I read and reread a lot of fantastic books. I attribute that to the fact that I read very few books I didn’t really want to read. I trusted the recommendations of family and friends, put down books that didn’t capture my interest, and stopped feeling bad about returning books to the library unread. I need to work on releasing the ignored, unread books that I own, though. I think I’m going to start giving them a year. If I still haven’t read them then, they’re going in the donation pile. And that’s it (for now)! What about you? 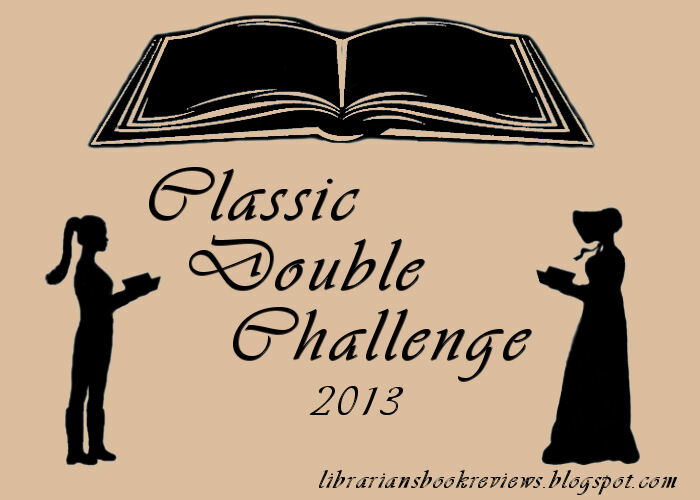 Any reading goals for 2013? I love the beginning of the year. It’s such an optimistic time. Even though I’m sure that any goals or resolutions I make for the year will fall by the wayside long before the year is out, I’m equally certain that this will be the year they won’t! Last year I stuck with my reading goal fairly well, so I have an added reason to feel optimistic about 2011. I borrowed my reading goal last year from the Literate Housewife (and later found that many bloggers had made a similar goal): to read deliberately. I know this is totally unoriginal, but my goal this year is exactly the same. I’m signed up for more challenges this year than I was last year, however, which will make sticking to this goal a little trickier. I learned last year that I enjoyed writing reviews for those challenges a lot more when I did it long before the deadline. Part of reading deliberately will be to read those books fairly early on. This way I can choose not to use a book for a challenge if I just don’t feel like reviewing it. I read a lot of books spontaneously last year – which I loved – so I also want to balance my spontaneous reads with my planned reads (if spontaneity is planned is it still spontaneous?). Aside from the challenges, the only other specific planned reading I have is to read more books that I already have on my shelf. It’s a goal I have every year, but there’s a very good chance I may move this year so those unread books are higher up on the priority list this year. So that’s the plan! What about you? What are your goals, reading or otherwise, for 2011? When I sat down a few days ago to catch up on my favorite book blogs I realized how much I miss this book blogging world. I miss reading reviews, chatting with fellow book lovers, and planning and writing my own reviews and bookish thoughts. I miss having a tiny corner of my life separate from work and school. At first I was a little caught-off guard by this feeling, and then I felt a little sad, because unfortunately this is just the beginning. Sigh. Drat being a responsible adult. 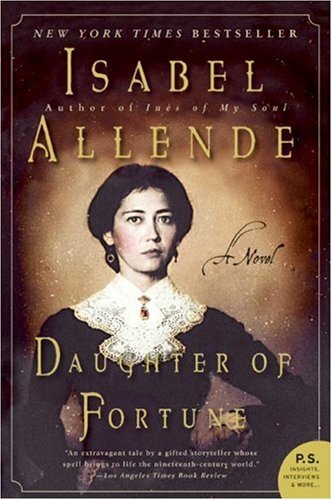 I did read one more Isabel Allende book last month – Daughter of Fortune. Most of the novel takes place in California during the Gold Rush, and it was interesting to read an Allende novel about a time and place I’m familiar with. She is such a vivid writer, though, that even if I wasn’t a native Californian I would still have felt like I was there. I’ve never been to Chile, and yet after reading House of the Spirits I feel like I have. Hmmm, what else . . . I finished up the Stieg Larsson Millennium series a few weeks ago. Not the all-time greatest books I’ve ever read, but still very good. A coworker loaned me Mennonite in a Little Black Dress by Rhoda Janzen last week, and I feel a little ho-hum about it. I’ve definitely read better memoirs (A Girl Named Zippy comes to mind; wow, do I love that book!). I’ve had a good reading streak since then: I finished Bad Mother by Ayelet Waldman last night and lovedlovedloved it. When I have available time and brain space I’m definitely going to review it here. (In the meantime, check out Jenny’s review. 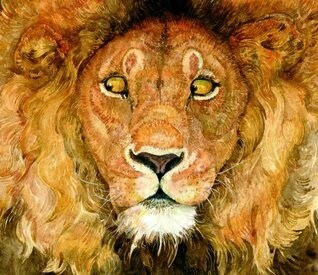 Wonderful.) 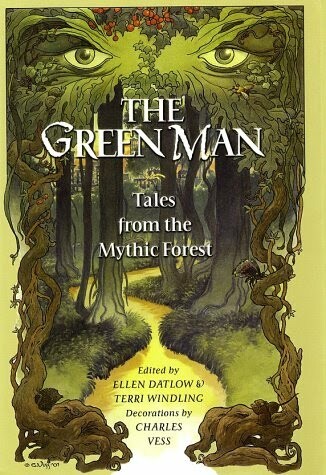 I’m on a mini Diana Wynne Jones kick, too. I read Charmed Life the other day (good times, big fun) and am in the middle of Dogsbody, which is just fantastic. 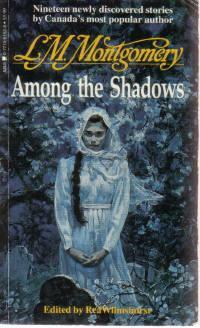 I’m also in the middle of Among the Shadows by L. M. Montgomery, (recommended by Chandra), because frankly I could not resist reading a collection of spooky stories written by the author of Anne of Green Gables. What are you up to? Any great reads? How’s autumn treating you? P.S. In more unrelated news, I just discovered that Gail Carriger (author of Soulless, which I reviewed back in July) quoted my review on her blog! A real, live author quoted me! Wow. I’m getting all giddy and starry-eyed over here. Shortly after I was filled with the urge to reread To Kill a Mockingbird I learned that July would mark its 50 year anniversary (50 years! can you believe it??). The timing seemed perfect, so while in Oregon I picked up a copy at Powell’s. I realized, however, (as it sat on my dining room table for weeks), that I was reluctant to read it. The last time I read it was my junior year in high school. 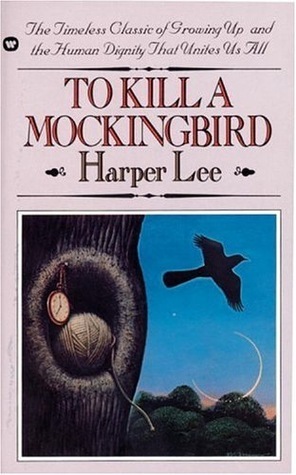 I had loved it then as much as when I first read (and reread and reread) it in eighth grade. What if I read it this time and it didn’t measure up? It’s not that I doubted that it was a great book; it’s more that I feared my memory had inflated its greatness. A week or so into July I stole a few moments while my students napped and finally picked it up. And there, to sounds of sleeping children and summer rain, I fell in love all over again. I nearly wept, sitting there in that darkened room, when I realized that no, I hadn’t inflated its greatness at all. The story came back as clearly as if I’d read it yesterday and I saw the little influences it had had on my life: how absolutely delighted I was the first time I saw a mockingbird and how I always look up when one flies by; how, whenever a coworker or friend loses a loved one the line “Neighbors bring food with death and flowers with sickness and little things in between” (278) jumps into my brain and I feel compelled to bake something because that’s what you do; how a bottle in a brown paper bag makes me think of Mr. Dolphus Raymond hiding his bottle of Coke; and how, even after eleven years, lines from the book are still etched in my brain as clearly as if they were written there yesterday. At the same time, it was like reading it for the first time as passages jumped out that had somehow escaped my memory. I knew that I would see the book differently this time around, but I hadn’t expected to find more to love about it. In a way, I’m glad it took me so long to read it again as it enabled me to see it with fresh eyes. What a truly incredible book. “Six Month Reading Report” sounds so official, doesn’t it? I think I might just stick the word “report” in all my blogs just to make myself sound important (just kidding) (maybe). Not too bad! With a few exceptions, I really enjoyed most of these books. 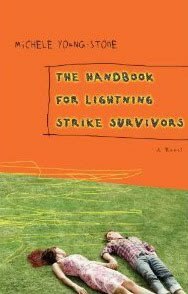 In terms of favorites so far, I’m leaning toward Calpurnia Tate, A Reliable Wife, The Last Single Woman in America (never got around to reviewing that one, unfortunately), Handbook for Lightning Strike Survivors, Fried Green Tomatoes, The Help and Dear Dumb Diary. Plus a lot of others 😉 What about you? Any standouts so far this year? *I read a LOT of picture books (more than I actually keep track of) but only those I reviewed appear on this list. A few months ago, in a burst of optimism and productivity, I decided that I would finish all my critical reading for my thesis by the end of March. (Clearly I made this decision without first calculating just how many unread pages awaited me.) While all of this reading is, (for me, at least; not sure how the general public would feel about it), fascinating, it is rather dense (and occasionally slightly depressing), and therefore it is highly likely that by March 31 my brain will explode. On an unrelated note, I’ve been trying to acquaint myself with the other book blogs out there. In the process I’ve noticed that most book bloggers include a summary of the book they’re reviewing. Which I don’t really do. (I didn’t even notice myself not doing it until I started reading more blogs.) I’m blaming this on eons of writing critical papers in which plot summaries are only permitted when very brief and absolutely necessary. Old habits die hard, and that’s one habit I really don’t think I should break anyway. I’ll include a brief synopsis if an explanation is needed, but that’s about it. The way I see it, there are a billion reviews out there that do include summaries; the internet doesn’t really need yet another one from me! Here’s hoping for an explosion-free month . . .